Do you long to homeschool with joy, simplicity, and success? Finally, all the best tried-and-true homeschool advice you’ve been looking for in one amazing book. 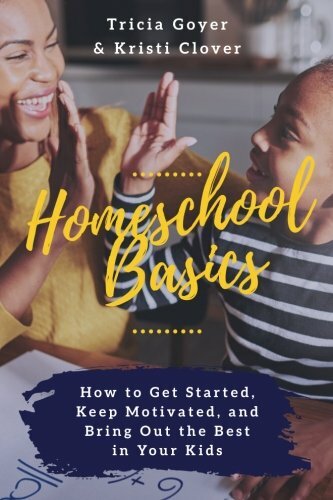 With more than thirty years of combined experience, homeschooling moms Tricia Goyer and Kristi Clover provide thoughtful and practical advice on how to get started and stay the course in your home-school journey. But they don’t stop there. In this book, Tricia and Kristi unpack tons of great tools that will help you take unnecessary pressure off yourself so you can focus on what is truly important. (Hint: It’s not academics!) Homeschool Basics will remind you that the best type of homeschooling starts with the heart. You’ll find ideas to help you push your fears to the side and raise kids who will grow to be life-long learners and who have a positive impact on God’s kingdom. Tricia and Kristi believe that homeschooling can transform your life, your home, and your family. Mostly, they believe homeschooling can truly prepare your children for the life God’s called them to live.